Sometimes you need a little inspiration to redecorate your bathroom! 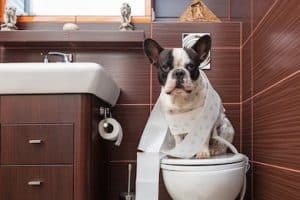 Because over the course of your life you will spend on average 1.5 to 2 years in your bathroom! So why not make those 2 years feel amazing? That starts by feeling at home and at peace in your bathroom. Here are 6 tips to help you decorate your bathroom the easy way! If the color of the year in 2018 was the famous Pantone Ultra-Violet, Experts are announcing that the color trend for 2019 will be warmer. Adding a touch of paint, for example create a border or just paint a wall might just change the whole vibe in there!! Think about it, you get out of that hot steamy shower after a long day, and you put your feet on that old bath mat, it’s stained, rough, all in all it might be time for a change!! 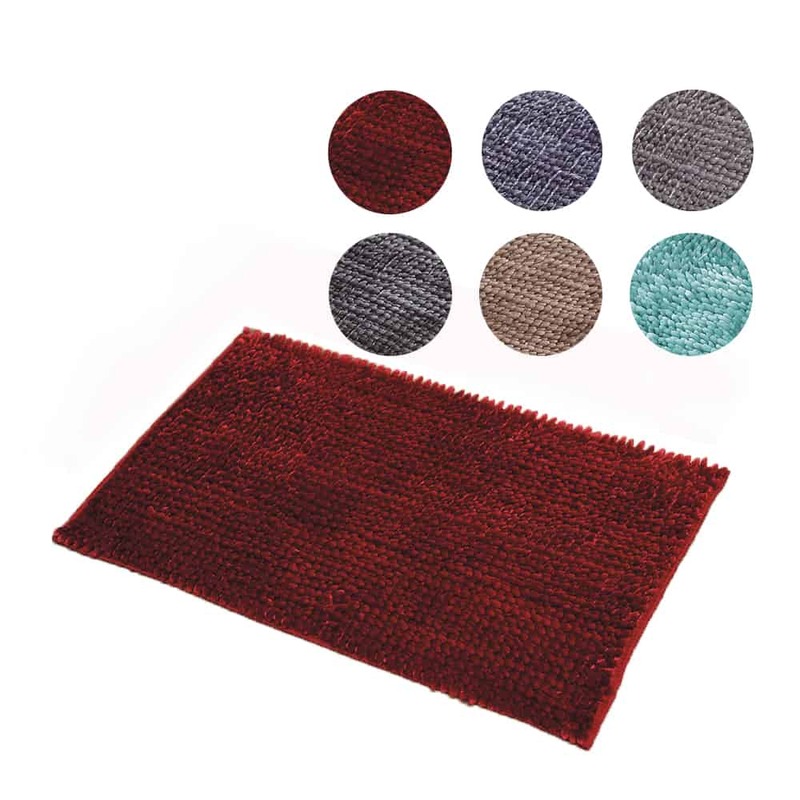 We have just what you need with the softest bath mat you’ll ever want! Just a simple set of accessories can make you feel at home! Design, color, style, go ahead, have fun with your bathroom. And that’s exactly what we are here for, to help you have fun decorating your space! Do you feel like you want a Nature Vibe? Maybe you want to travel ? Would you rather colors that help you wake up in the morning? Or maybe something more whimsical, because… why not? The bathroom is the space in your home you can have the most fun with, so go crazy! Colors, shapes, material. Anything is possible! 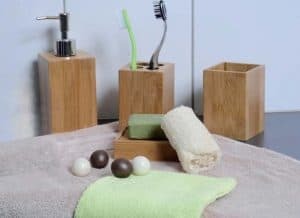 Make your bathroom quiet and Zen with our Bamboo accessories. Take a walk in a safari every morning with our Island collection. Our Seaside collection will make you feel like everyday is a beach day. Do you ever have trouble finding you shampoo in between all the products you have? Organize all that in a shower caddy! That hair dryer and that razor are always in the way! Check out our wall mounted Hair dryer holder, and suction mounted razor holder. 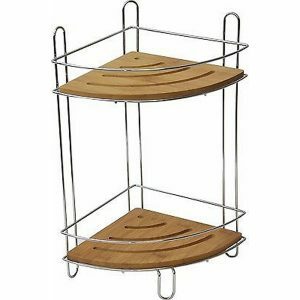 A storage furniture that is also a mirror, in which you could also hang your bathrobes and towel and most importantly that doesn’t even take much space? Doesn’t that sound like a dream come true? With our 360 swiveling storage cabinet, you can have it all!